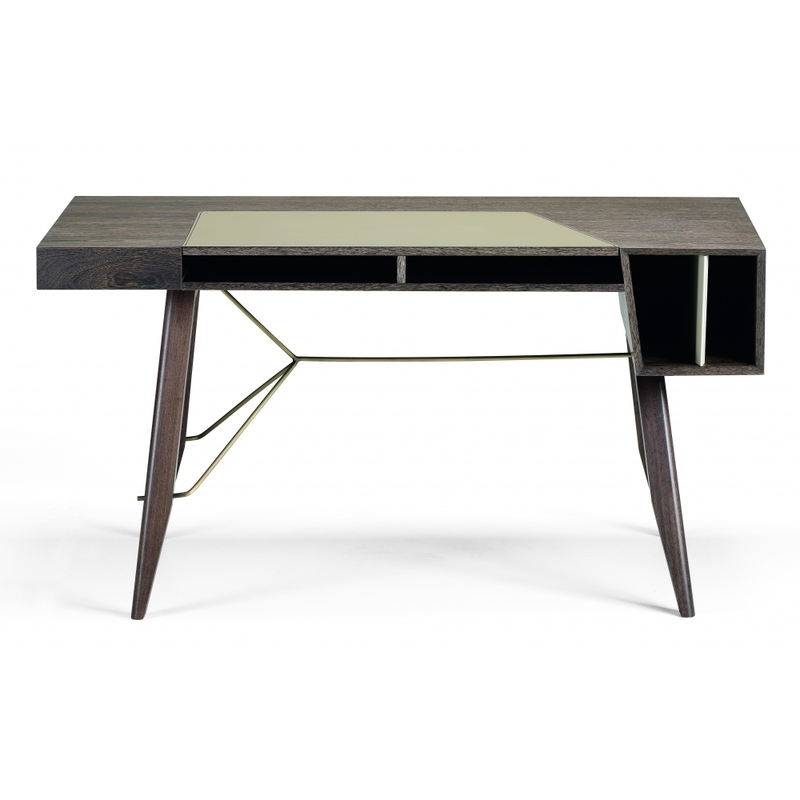 This quirky and practical asymmetrical desk is designed by Manzoni e Tapinassi in MDF veneered in Canaletto walnut, oak moka or sucupira wood. The vertical panels are stained beige Pantone 7529C with the metal in micaceous brown, galvanized titanium or brass stained. Top: cover in leather. Feet: ash wood, Canaletto walnut or oak moka stained or ramin wood sucupira stained.